Duct Cleaning | Fresh Air, L.P.
Don’t Let Your Ductwork be the Enemy to Your Comfort! Most homeowners don’t think about their air ducts very much, and that’s okay—we don’t expect you too. After all, they are hidden from view for a reason. You shouldn’t have to think about the state of your ductwork very often—but from time to time the air ducts will need a little attention, whether it’s because there’s damage to them or you need professional air duct cleaning in Sugar Land, TX. Do you know anything about the quality of the air entering your living space from your room vents? This air comes through your ductwork. So if your air ducts are not well taken care of, your indoor air quality can suffer. Fortunately, there is a solution, and that’s professional duct cleaning. 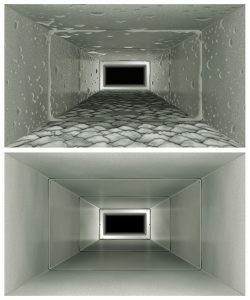 Duct cleaning should be performed every few years by a trained professional. We’ve shared below a few more things you should know about this service. Posted in Duct Cleaning | Comments Off on Don’t Let Your Ductwork be the Enemy to Your Comfort! 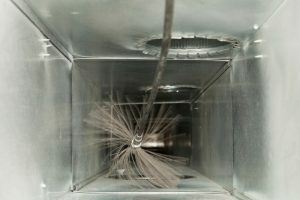 Should You Schedule HVAC Duct Cleaning? How much do you know about the ductwork in your home? Probably not a whole lot, and we wouldn’t expect you to. After all, they’re hidden from view for a reason. You shouldn’t have to think about the state of your air ducts too often. But every now and then, they will require a bit of attention. You certainly don’t need to know all the ins and outs of your ductwork, but there are a few things we think you should be aware of if you’re at all concerned about the quality and efficiency of the air being transferred through them. Professional Sugar Land, TX air duct cleaning is a way to clean out the ductwork that air moves throughout each and every day. We do think it’s important to get this on your schedule, for a few reasons that we’ve highlighted below. Posted in Duct Cleaning | Comments Off on Should You Schedule HVAC Duct Cleaning?